I get a lot of questions about my teeth. They’re pretty straight – thanks to my amazing 6 month smiles experience – and they’re also pretty white due to years of whitening products, both professional and at home! I had my teeth professionally whitened about 8 years ago now, something I’m so pleased with even to this day. I was always self conscious about the colour of my teeth so for me this was a no brainer. 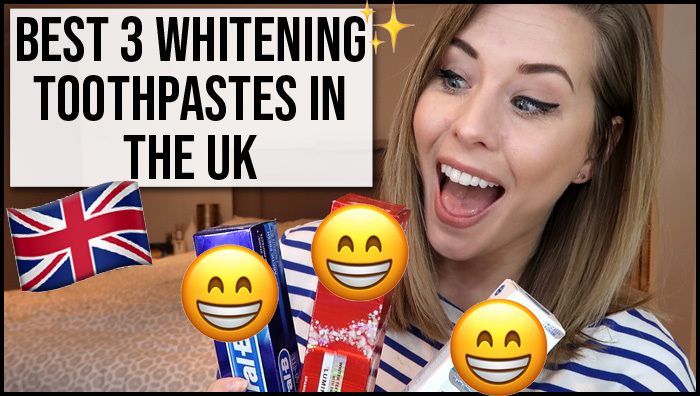 Since then I’ve tried a number of at home teeth whitening products, such as Crest White Strips and also the new Snow Teeth whitening System which have both worked well for me. 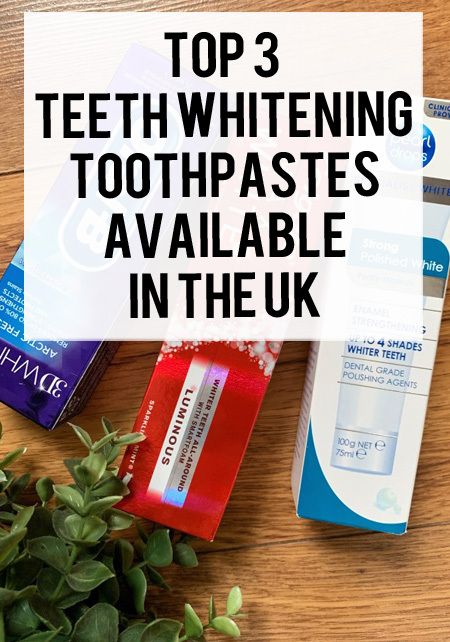 But what if you just want to keep your teeth nice and white without forking out on big at home whitening systems? 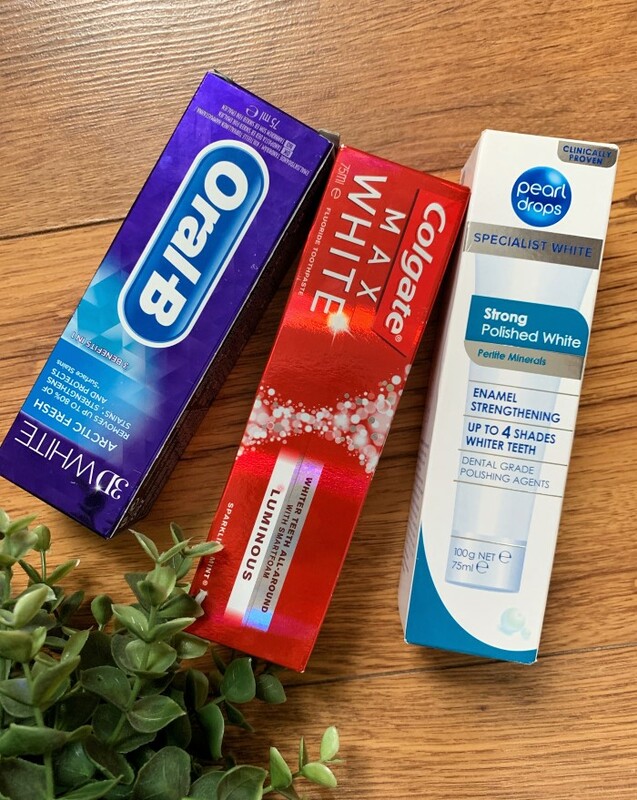 I’ve tried SO many whitening toothpastes in my time to varying success, so I thought I’d share with you my top 3 that I think really do work and are worth the money.